Best Sunday breakfast ever!! 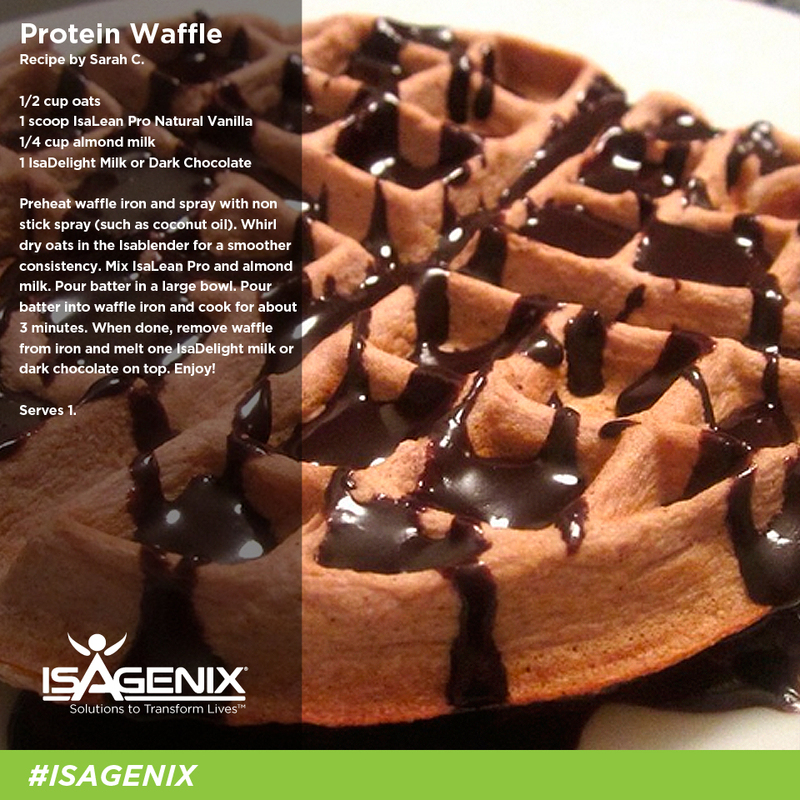 Treat yourself to some yummy healthy waffles. This awesome breakfast is packed with protein and energy to get your day start with a bang. 2. Place dry oats in blender until smooth consistency. 3. Mix Isalean Pro and almond milk and blend until nice and smooth. 4. 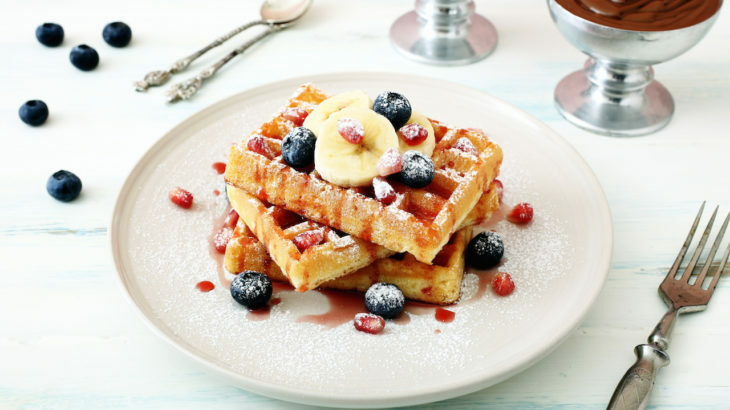 Pour batter into waffle iron and cook for appox 3 min. 5. Melt one IsaDelight chocolate and pour on top of waffle. A few additional options are to use 1/2 cup of mixed berries and cook on med heat until warm and juicy and then pour over waffles. Or add sliced banana’s and strawberries. Did you know that a medium banana has 3.1 grams of fiber? To learn more about the amazing health benifits of bananas click here.